One night, it looked quite clear out, so I thought I'd take some photos and see what I could get. After an hour or so I packed it in, concluding nothing much was going on. 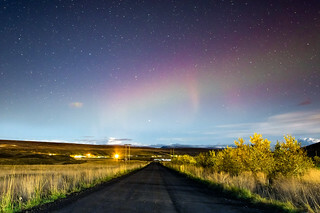 Imagine my surprise when I noticed a faint aurora in this shot!